SPECTRA LED lampheads output an impressive range of super bright white light in a variety of models to suit your needs. Choose from 14,000 lumens in the compact Spectra-MS, to 15,000 lumens in the Surface Mount, to 20,000 lumens, and up to 28,000 lumens in both the Spectra-MAX and Spectra-MAX-S. This is the brightest LED scene light available. 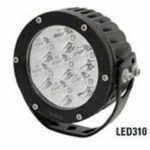 Available in 11,000, 15,000 and 20,000 lumens, Fire Research's Evolution II light series delivers more light with the same power. Ideal for 12 or 24 Volt DC systems (13/6.5 amps), the Evolution II is long life rated at 50,000 hours. 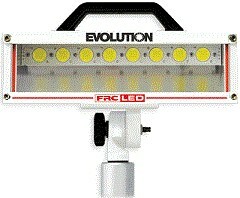 With instant on at full intensity, the new generation LED array produces a more uniform and crisper light beam. The OPTIMUM has a uniquely designed, vacuum deposit, polished reflector and two optimizing mirrors to maximize light emission. It puts more light on the scene without the need for an increase in power. FOCUS low profile lamp heads are designed to focus 100% of the light directly onto the scene. 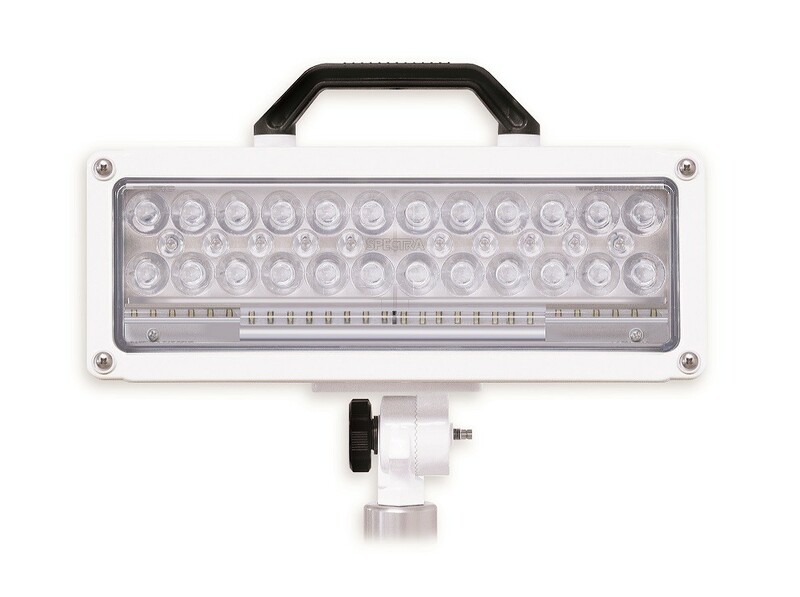 MAGNAFIRE floodlight incorporates all of the features necessary for today's public safety professionals: High-Intensity Light Output, Compact Design, and Durability. 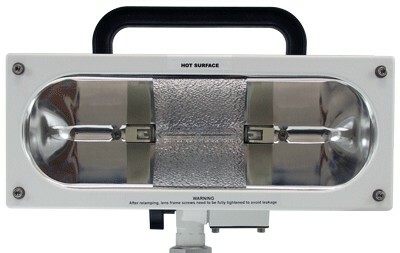 The KWIK-STIRIKE body mount light fixture uses one of three different size 120 volt halogen bulbs. It is available with two different beam patterns: Downward Angle Flood or Horizontal Flood. COLLINS-DYNAMICS brand Fixed and Hand held have been the brightest spotlights on the market for over 25 years and continues to be a recognized leader. Compartment lighting Sunstrip strip lighting available in sizes from 9 inches to 63 inches. Firefly is easy to install because it can be mounted in any orientation and on any flat surface. 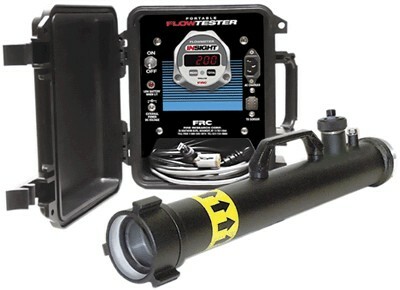 Fire Research Corporation manufactures several pressure governors, generator governors, and remote throttles with multiple combinations of displays for use where remote engine control and monitoring is needed. Fire Research Corporation manufactures several instruments, indicators, and displays for use with pumps, storage tanks, and generators. Fire Research Corporation manufactures flow meters and pressure indicators specifically designed for use on fire apparatus and in the fire services. 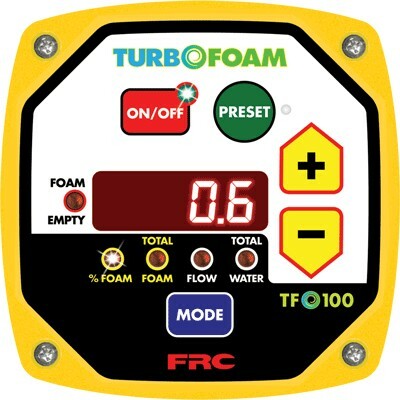 Fire Research Corporation manufactures several Class A and Class B foam system controls and displays for use with water pumps. 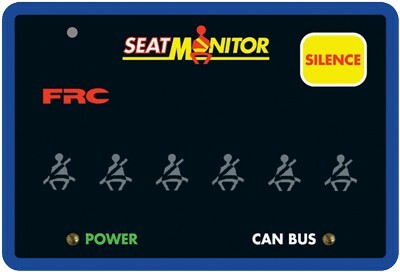 The Seat Monitor and Data Acquisition System is available with four different vehicle cab displays that allow for multiple configurations. Fire Research Corporation manufactures accessories for the apparatus that are specifically designed to promote a safer working environment. Fire Research Corporation manufactures intercom systems that meet the demanding needs of rescue and fire service personnel for two or three-way communication. The inView series of video, recording and telematics incorporates state-of-the-art technology for emergency apparatus. Our unique, customizable packages deliver increased safety, provide protection from potential liabilities and offer advanced vehicle tracking capabilities. FRC offers unmatched video options, from single camera systems to 360° bird's-eye view, recording, and automatic data download via wifi or live cellular viewing. Make sure your apparatus is equipped with inView’s state-of-the-art safety technology. Your Safety. Our Mission.